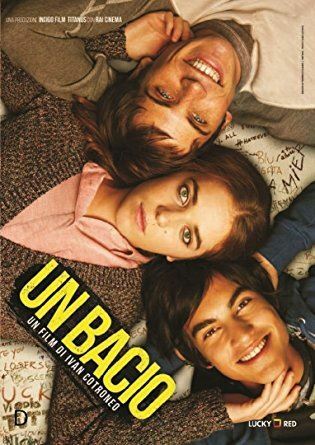 Italiensk Kulturforening i Stavanger - Filmkveld "Un Bacio"
With Un bacio, Cotroneo moves us to the present-day north-east (Udine to be precise) with a trio of teenagers à la Jules et Jim by Truffaut (to which explicit reference is made), who are high school classmates. The film leans towards being a “surviving high school movie” with musical numbers and a laid-back approach, the calling cards of this author, which bring levity to the issues of homophobia and bullying at least up until the film’s dramatic development. The film hits cinemas accompanied by the video for the single Hurts by Mika, which was also directed by Cotroneo in the film’s locations, and features the three young protagonists alongside the British singer. The video has become a symbol for the fight against bullying, which is also the underlying aim of the film to some extent, firmly aimed at youths of that age (and perhaps even at young parents), with a highly contemporary influencing power: a lot of music (as well as Mika, the film features tracks by Lady Gaga, Emeli Sandé and Lamb) and quotes from series such as Glee. Cotroneo, who has worked as a writer and screenwriter for Daniele Luchetti, Ferzan Özpetek, Luca Guadagnino and Maria Sole Tognazzi in the past, is the author of successful TV and web series on extended and cheerfully conflicted families, namely Una mamma imperfetta, which he also directed.